She expressed her first serious interest in art when she was seven years old. When she was 14 years old, her parents paid for her to take classes at Mission: Renaissance School in Montreal, Canada. She took courses that taught her traditional fine art skills, including an in-depth study of the masters: Rembrandt, Monet, Manet, Cézanne, Fantin Latour, and others. 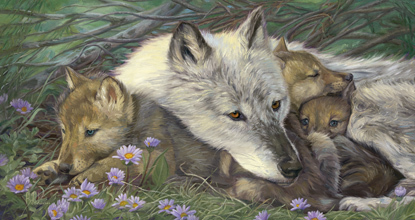 A teacher at this school once showed her a book showcasing the wildlife paintings of contemporary artist, Robert Bateman. 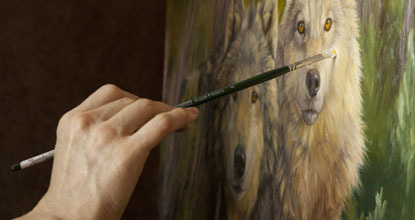 Lucie loved his work and decided to channel her talent toward wildlife. 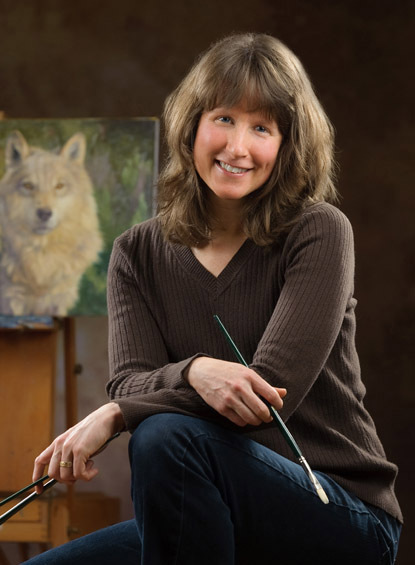 "Since many of us have a very busy and often stressful life, it is important for me to bring the calming and rejuvenating effect of nature into people’s lives through my artwork." Germany, Japan, Australia, United States and Canada. “I truly hope that, in some way, my artwork contributes to the world I envision. I stand for a world without wars. A world where honest people can prosper and flourish. Where we care, love and respect each other, as well as the other life forms on this planet." Things that ignite her creativity have ranged from her trips to Montana, her photo safari in Africa, her visits to zoos, butterfly farms, and the times she spends with her two cats, and even flowers and wildlife in her backyard. To transport the viewers to peaceful places, New England and parts of her native Canada are often inspirations for her landscape and seascape paintings. The artist's fantasy and spiritual paintings come from her vibrant imagination and the beauty of her models, which are often relatives and friends. Select from more than 300 fine art images by Lucie Bilodeau, all of which can be purchased as framed prints, canvas prints, acrylic prints and metal prints, in a large selection of sizes.